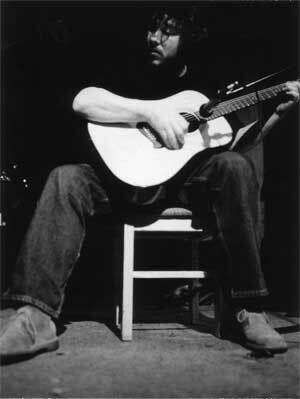 Pelt guitarist and American Primitive master Jack Rose has died of a heart attack, at the age of just 38. What can I say… Jack was a fantastic picker and a big inspiration, for me and many others. I just played a show with him in late September, and you can see videos from Jack’s performance here. This entry was posted in Uncategorized and tagged Acoustic, American Primitive, Folk, Guitar, Jack Rose on December 5, 2009 by Work & Worry.